November 12 is International Tempranillo Day according to the Wine Lover’s Calendar. Tempranillo is the core grape used in Spain for Rioja and Ribera Del Duero; as well as in Portugal in the Douro Valley and in the fortified wines of Oporto. One of the most curious facts about Tempranillo in Spain is that in Rioja the wineries for the most part prefer American Oak, while in Ribera Del Duero the preference is French Oak. It has been successfully grown in California, Argentina and Australia. When I was first learning about wines in the Sixties, many of my mentors guided me to Rioja, and the smoothness that could be found in the wines. 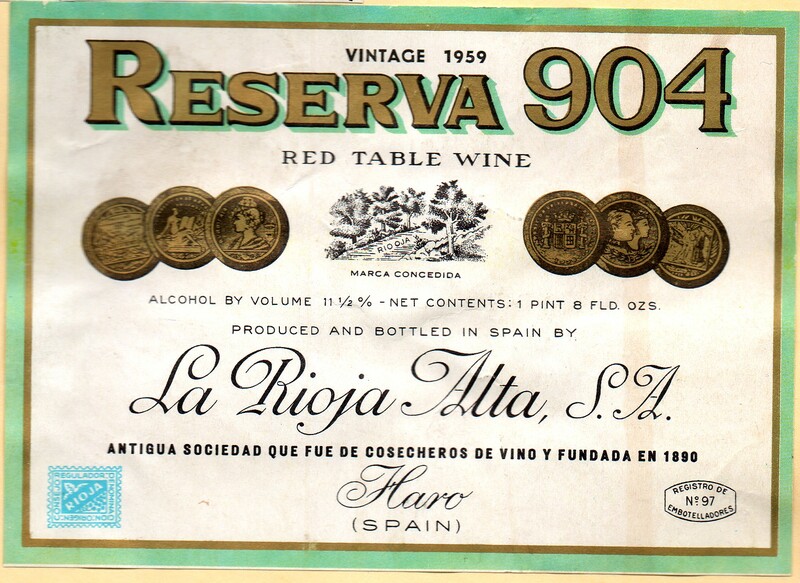 In those days, I could buy Claret for around five dollars, and I could find some Rioja Reserva for two to three dollars; and as a student that was a great consideration. Consequently I was enjoying Tempranillo for years, in fact, even before I really started thinking about the grapes, because certain wines just won me over, in those early days. In fact as I think back to those days, the odds were if a restaurant or wine shop even offered Spanish wines, it invariably was from Rioja and most of the time, it was a Reserva. I remember when I first met my Bride, she only drank white wine, and Rioja Reserva wines were some of the first reds that introduced her to, and to this day, she still gets excited when she sees Rioja on the wine carte when we are dining out. In the old days Banda Azul from Frederico Paternina was one of the “hot” wines from Rioja, and the other one that was “hot” was Marquis de Riscal. 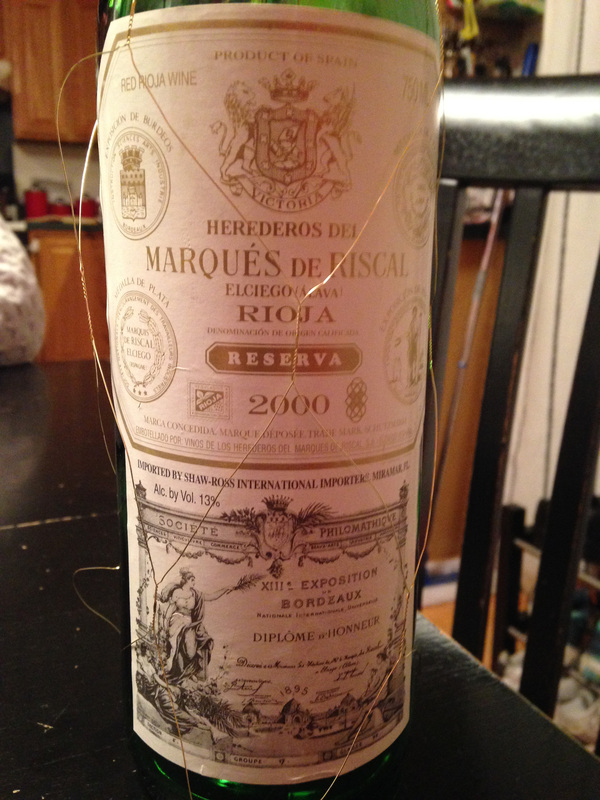 Marquis de Riscal, I think was the wine that really got my Bride into red wines, because for years if she went out to buy some wines to surprise me with, there would always be a couple of bottles in the mixed case that had that tell-tale chicken wire wrapping of the Marquis de Riscal. My Bride is not on good on names, but that wire wrap and their unique label shape made it easy for her to identify the wine she liked, though lately she has even been experimenting with other Tempranillo wines, now that she knows the grape. This entry was posted in Wine and tagged Tempranillo. Bookmark the permalink.